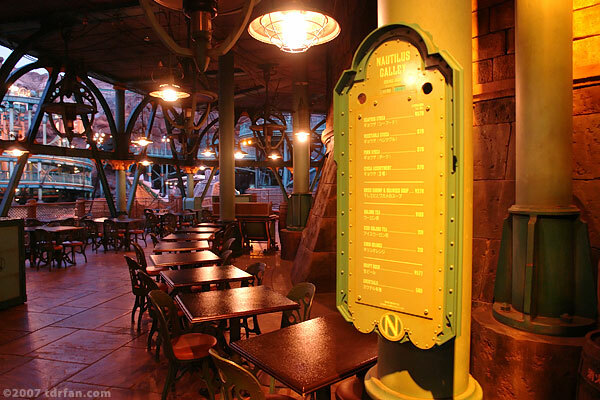 The Nautilus Galley is located one level below the main walkway through Mysterious Island and is not easy to find. If you are able to find it, you'll have the chance to purchase gyoza (Chinese steamed dumplings—also known as potstickers) with a variety of fillings. Beverages are also available, including beer.